Last Friday I travelled to Canberra and fronted the Senate Committee hearing testimony on the matter of HF broadcasting & Senator Xenophon’s Bill to compel ABC to resume HF domestically & for RA. I was grilled like a breakfast kipper. It went well. Thank you, Nigel. We appreciate your updates and are certainly thankful that you have been representing the interests of those who believe in ABC maintaining a presence on shortwave. This entry was posted in Broadcasters, International Broadcasting, News, Shortwave Radio and tagged ABC Cuts, ABC Northern Territory Shortwave, ABC Shortwave, Nick Xenophon, Nigel Holmes, Radio Australia Shortwave, Radio Australia Shortwave Closure on June 19, 2017 by Thomas. The government of Vanuatu sent a formal submission to the Australian Senate asking for the Australian Broadcasting Corporation to resume its shortwave service. […]In a letter, Vanuatu’s prime minister Charlot Salwai said removing the shortwave service to Vanuatu could cost many lives in the likelihood of a major natural disaster, like cyclone Pam two years ago. The Daily Post said radio broadcasts to remote parts of the country have been cited as a reason the death toll from the category five storm was relatively low. After the storm there was practically no domestic communication, with shortwave the only radio means to reach a scattered population. Mr Salwai said it could be reasonably stated that Australia’s shortwave service helps save Pacific lives and Australian tax dollars. This entry was posted in Broadcasters, International Broadcasting, News, Shortwave Radio and tagged ABC Cuts, ABC Northern Territory Shortwave, Australian Broadcasting Corporation, Nick Xenophon, Radio Australia, Radio Australia Shortwave, Radio New Zealand, Vanuatu on April 5, 2017 by Thomas. 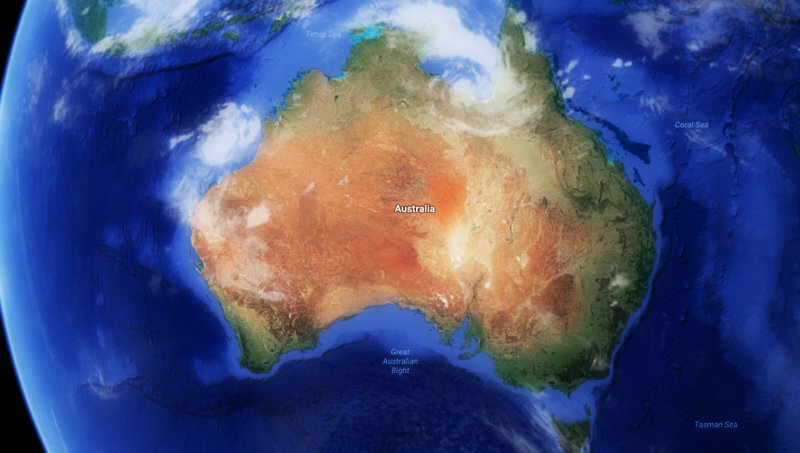 Radio Outbackistan: “the next shortwave broadcaster for rural Australia”–? Could Radio Outbackistan be the next shortwave broadcaster for rural Australia? 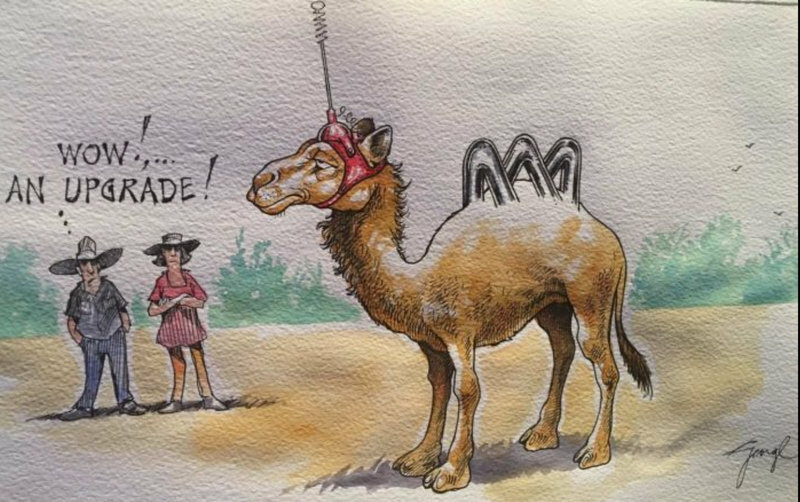 In response to the ABC abolishing its HF shortwave radio service, the Northern Territory Cattlemen’s Association (NTCA) president has turned to humour to propose his own broadcast alternative. On Friday, in front of hundreds of cattle producers, Tom Stockwell addressed the association’s annual conference on the status of the beef industry, listing challenges, opportunities and grievances. While the Bureau of Meteorology’s decision to remove the Tennant Creek weather radar and the National Broadband Network’s restrictions on download quotas for remote users were both highlighted, it was the loss of shortwave radio that Mr Stockwell took most issue with. The NTCA has been heavily critical of the ABC for making the decision, which was made to allow for the reinvestment of funds into digital services. Continue reading at ABC Rural online. Thanks for sharing London Shortwave. That gave me a much needed chuckle! This entry was posted in Broadcasters, Funny, International Broadcasting, News and tagged ABC Cuts, ABC Northern Territory Shortwave, ABC Northern Territory Shortwave Services, Radio Australia, Radio Australia Shortwave, Radio Australia Shortwave Closure, Radio Outbackistan on April 3, 2017 by Thomas. Kevin De Reus has lived in the same 24-kilometre-radius his whole life. Born and raised in Iowa in the US, Kevin now calls his grandfather’s farm — just 12 kilometres from where he grew up in central Des Moines — home. He is married, has five children and has worked at the same company for 20 years. And while he admits he has not travelled much in his 52 years, it hasn’t stopped Kevin from listening to the news from Australia since 1980 — with the help of a shortwave radio. Even half a world away, he says the broadcast was one of the clearest of the stations he listened to. “Radio Australia always held a special place in my heart just because it was in the South Pacific and I didn’t know much about that area — and the signal was always good from that part of the world,” he says. “Most recently, over the last two to three years as I was listening in the morning hours here on 9.580, the signal was so good. It really was about the only English broadcaster at that time of the day that had news and information. “Most mornings I would get up and turn on the shortwave radio at 7:00am (local time) and listen to the news from Australia and then I would drive to work. “So many of the stations just aren’t on the air anymore. BBC doesn’t broadcast to North America anymore. I can’t even hardly hear the Voice of America in English anymore to tell you the truth. So Australia had the strongest signal. Click here to continue reading the full article on ABC News. I believe Kevin De Reus did a fine job explaining the appeal of being a shortwave radio listener. 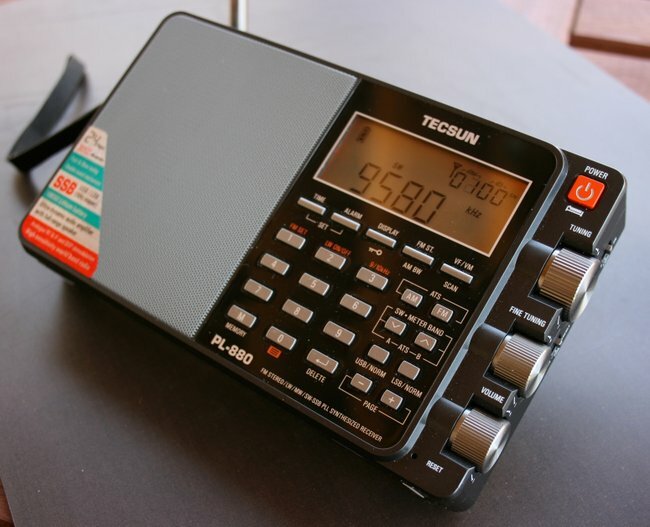 Though I gather a lot of international news these days with a WiFi radio (especially since Radio Australia left the shortwaves), I still prefer listening to shortwave. It’s just how I’m wired. This entry was posted in News, Shortwave Radio, SWLers and tagged ABC Cuts, Kevin De Reus, Radio Australia Cuts, Radio Australia Shortwave, shortwave, Shortwave Radio, Why Shortwave, Why Shortwave Radio on March 26, 2017 by Thomas. Many thanks to a number of SWLing Post contributors who’ve shared a post from Change.org outlining how to voice support for the restoration of ABC’s shortwave service. No doubt, emails and letters from those living in Australia will have the most impact. Click here to read the details on Change.org. Committee Secretariat contact information can be found below. The Bill would require the ABC to restore its shortwave transmission services, following the announcement by the ABC in December 2016 that it would end its shortwave transmission service in the Northern Territory and to international audiences from 31 January 2017. On 16 February 2017, the Senate referred the Australian Broadcasting Corporation Amendment (Restoring Shortwave Radio) Bill 2017 to the Senate Environment and Communications Legislation Committee for inquiry and report by 10 May 2017. The bill seeks to restore shortwave transmission services to the Northern Territory and international audiences. This entry was posted in Broadcasters, International Broadcasting, News and tagged ABC Cuts, ABC Northern Territory Shortwave, Nick Xenophon, Radio Australia, Radio Australia Shortwave on March 7, 2017 by Thomas.